Let your dreams come true on a trip to Puerto Vallarta, Mexico, a rich cultural destination with a beautiful coastline. The cruise port which is popular for Mexican Riviera cruises was once a sleepy fishing town and is now popular for beaches. If you are looking for a truly authentic cultural destination, then this is it. Explore a laid back town with an eccentric vibe and an energy that is infectious. A tour of this destination’s towns reveals its artistic prowess, featured on the skillfully decorated town buildings enthusing history and Mexican heritage. Located on the Pacific coast in the Mexican state of Jalisco, Puerto Vallarta is not only known for its romantic beauty but for its impeccable cuisine. Once you see and taste of its land you might have a difficult time getting back on the cruise ship. But with good planning, you can hit all the amazing attractions and get a bit of relief even when leaving comes. To help you get a feel of the fun activities on the island and to plan your vacation wisely. 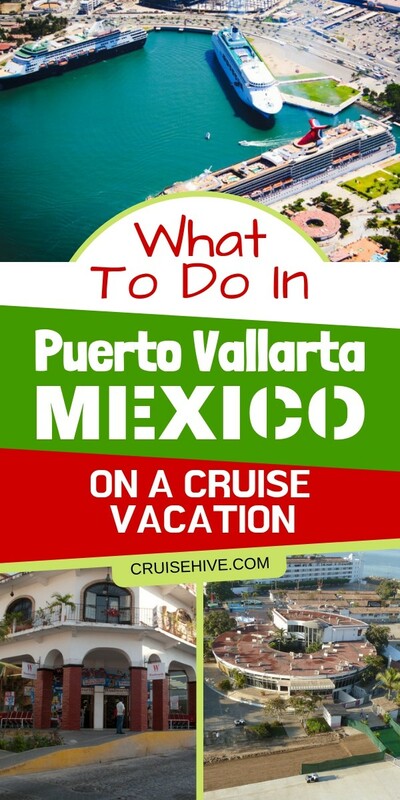 We picked out our top pick of things to do in Puerto Vallarta, Mexico on a cruise. There is no better way to start your day in Puerto Vallarta other than taking a leisurely walk along the picturesque oceanfront Boardwalk known as El Malecon. At the right times, the Malecon is usually uncrowded. It’s a quiet and peaceful place and at other times is energetic, filled with the best of Mexican tunes, dances and tempting aromas of Mexican cuisine. You can take a stroll along this one-mile long boardwalk. It’s located on the oceanfront, lined with the water on one side and restaurants, bars, and shopping stores on the other hand. Purchase all things Puerto Vallarta from Amazon right here. There are interesting statues and sculpture created on the seaside that is bound to capture your attention. Take a stroll and enjoy popping into the stores and restaurant for some shopping and tasty treats. The Malecon leads you right to the heart of the town. You can stop at the town’s popular landmark, the church of the Lady of Guadalupe. The town’s place of worship and also one of the most captivating architectural masterpieces. The church is decorated with intricate details from the 19th century and crowned with a lace crown to resemble the tiara of Emperor Maximillian. This side of town exudes an authentic, unforced beachside town vibe. It has more restaurants serving up traditional Jalisco cuisines and beauty and charm is everywhere. The next attraction to visit is Plaza de Armas, the town’s central point. A great place to people watch and interact with the locals. It has plenty of activities including salsa dancing in the evening. Playa Los Muertos is one of those vibrant beaches that are just infectious. The sounds of children laughing, the aromas of tasty grilled snacks and the sound of music fills the air. With its wide sandy beach and sparkling water. Los Muertos happens to be one of the most popular beaches in Puerto Vallarta. There is always an activity going on and lots of people having a great time. It is difficult to get bored on the shores of Los Muertos. The beach has plenty of restaurants and is a good place to take a break and grab a bite. Cash is preferred here. If you wish to bum on the beach you can rent a chair and umbrella from one of the restaurants. Don’t forget those beach accessories before you go! While the ocean’s alluring waters might be inviting, caution should be practiced. The Pacific surf is often rough and amateur swimmers should take caution. A floatation device might also come in handy just in case. Families tend to stick to one end of the beach as it’s more kid-friendly. Playa Los Muertos is great but if you are looking for a less crowded beach then Playa Les Gameles, 10 miles south of Puerto Vallarta might be it. Vallarta has plenty of beaches along its 26-mile coastline such and the best are found in the south. Los Gameles has a nice stretch of soft sands with clear waters and a rich sand bed. It’s perfect for swimming and relaxing. These Beach Foot pads might come in handy for this. Thanks to its untouched nature, the beach has no amenities, shops or restaurants. Hence you will need to carry lunch, beach towels, chairs, and umbrellas. Due to this beach’s size it can feel crowded very fast if many people are on it, so go early or late in the day. Far south is a dreamy island-like beach location that is beckoning to you. Accessible only by boat, Yelapa is a beautiful secret beach found at the foot of the majestic mountains of the Sierra Madre Occidental. The kind, where creative individuals derive inspiration from. From Puerto Vallarta, you can take a 40-minute boat ride to get there. Once there you will enjoy a truly wonderful beach day at the natural cove in the area. Visit the beautiful mountainous state of Nayarit. On this verdant town shores lies the pristine eco-paradise known as the Marietas islands. A protected natural wonder. This place is home to plenty of wildlife. Put on your swim gear and go snorkeling, kayaking or paddle boarding. Get your travel snorkel mask by clicking here. The waters here are teeming with sea life of all shapes and sizes with beautiful bold colors. This island has some amazing geologic past and bears stunning rock formations scattered all over the place. You will enjoy the scenery as you kayak and swim under great arches. A must see natural wonder of Puerto Vallarta’s waters is the amazing Whale and Dolphin sightings. You are likely to see whales tipping from any beaches including Los Muertos. Particularly off the coast of Mexico, you can spare some hours to view the majestic humpback whales in the deep blue waters. It is said that every year the humpback whales make their way to Bahia de Bandera ’s just to give birth to their new calves. Take a closer look just in case you spot a mommy whale with its young one. A truly glorious and precious sight to behold. Escape the noise and business of the town by paying a visit to the botanical gardens. The breathtaking gardens are located about 20 miles south of downtown Puerto Vallarta. In this Eco-park, you will find 20 acres of serene gardens featuring wild tropical flowers and interesting bird and insect life. Enjoy the lush tropical vegetation which emits beautiful floral scents great for relaxing the mind. If you are a green thumb, you will definitely enjoy exploring different species of plants found here. While here you also have a chance to go hiking beyond the boulders. There is a natural pool at the river you can take a dip in. If you happen to get hungry you can get some delicious tacos in the restaurant in the place. The park charges an admittance fee of about $11. Carry bug spray. 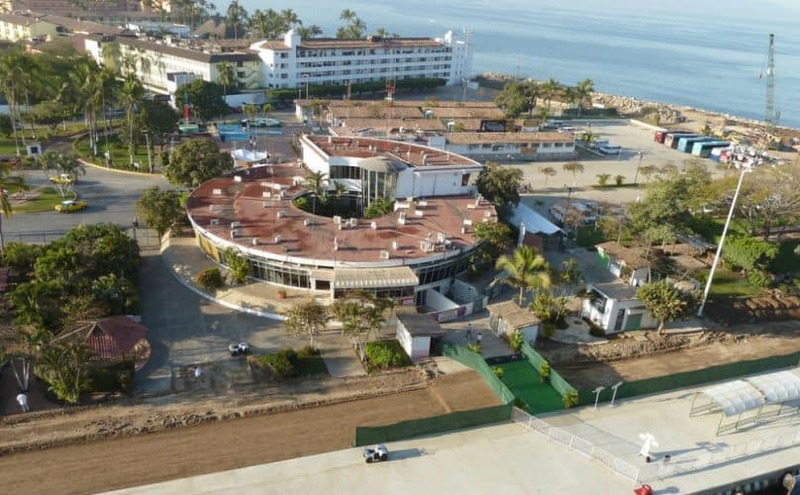 For the golfing lovers, Puerto Vallarta has exceptional golf courses with some popular ones like Marina Vallarta at Vista Vallarta Golf Club. This Mexican town boasts of challenging and gorgeous golf courses along the oceanfront, in a jungle setup and even the urban area. With signature courses designed by Jack Nicklaus, you can expect to enjoy a decent golf session. Punta Mita is also lauded to have great courses and some resorts bear nice courses as well. Prices aren’t too steep either, with most of them ranging from $150 to $250. To explore the lush countrysides of Puerto Vallarta a bike is recommended. There are plenty of tour companies offering this excursion. The guides are very flexible and work with your fitness level. Experience the rolling hills, charming villages and the scenic coastline on a comfortable bike. The guides tell you about the place and show you the best places to eat and drink at. A bike ride tour of Puerto Vallarta is not only scenic but a very healthy and invigorating way to spend your cruise vacation. Just make sure to email or call the tour operator you have chosen early in advance to plan everything well in advance. Some routes you get to explore include the spectacular Bucerias region, Punta Mita, Sayulita and more. Travel back in history to past centuries when pirates ruled the town and explore that tales and legends. Board a wooden pirate ship for an adventurous sail out in the sea. Participate in the sword fights or walk the plank. You will enjoy the recreation of pirate scenes from the yesteryears. This trip is a perfect excursion for adventurers and is full of surprises. A hearty meal befitting a hungry pirate is later served on the excursion. 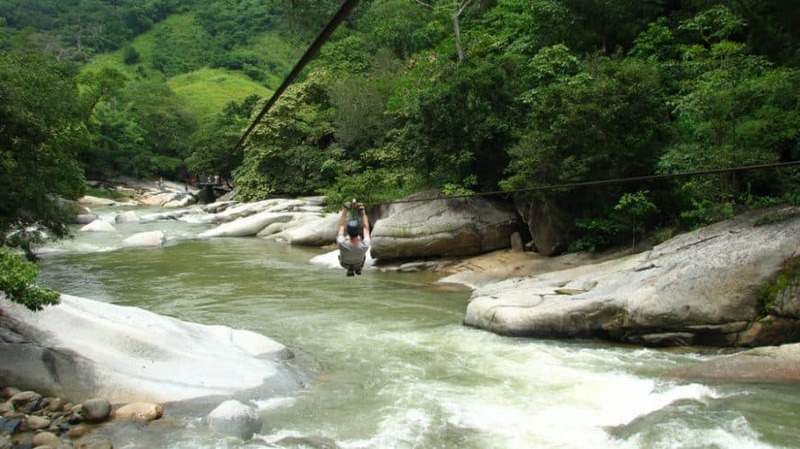 Puerto Vallarta has some of the highest zip lines in all of Mexico. Explore the canopy over a forested landscape, waterfalls and sparkling rivers on a 1000 foot long zip line course. Purchasing Bug Spray might be needed for these type activities. There are about 15 courses rising as high as 250 foot and giving you unparalleled views of the picturesque town beneath. There are various zip line packages with most including a scenic tour of the coastline at the Bay de Bandera. This exciting excursion is enjoyable for all ages and ends at Mexican tequila tasting centers. Puerto Vallarta is big on deep sea fishing. If you are a fan of big game fishing, then this is your excursion. Some popular catches include Marlin, Sailfish and tuna. In this tour, you will venture out to sea and enjoy a relaxing fishing time. You can combine the tour with whale and dolphin watch for a more satisfying day on-port. There is a range of boats to chatter depending on your budget, from luxury to economy boats. With a reputable tour company, you can rest assured you will be in the capable hands of a good captain and a helpful deck man. Go on a flavor tour of Puerto Vallarta. This Mexican town is a foodie destination and there is a lot to sample. Food tours are popular in Puerto Vallarta. You can start by sampling delicious tacos from anywhere you visit. Move on to enjoy fresh catch, shrimp on a pineapple, sumptuous empanadas, lobster with a special sauce, guacamole and Birria, a Vallarta special. You will also get to sample special coffees, coconut water and refreshing cocktails. Take up cooking classes, where you can learn to cook like a Mexican. Visit popular restaurants like Le Leche where the celebrity chef Nacho Cadena will serve you unique gourmet dishes. 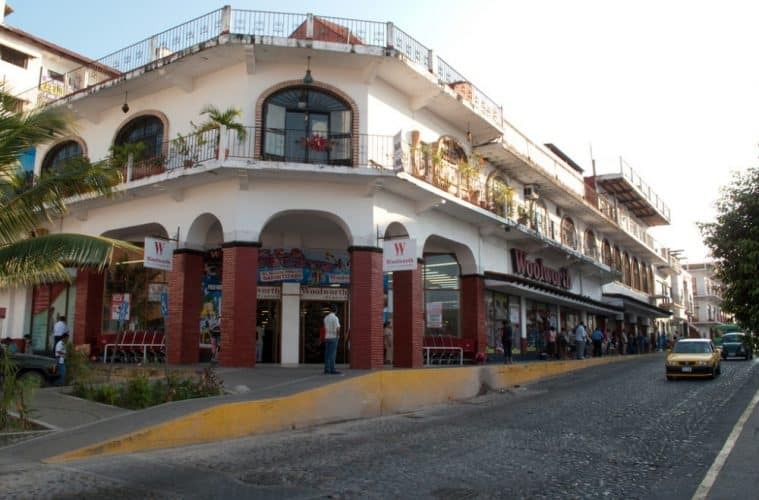 Try a different shopping scene in the little island within the heart of Puerto Vallarta. Not the easiest to find but from the southern tip of the Malecon find the bridge and cross over to the charming cool place. Get all your Puerto Vallarta souvenirs right here. There is a flea market for extra souvenir shopping, and restaurants you can grab a quick bite at. It’s a nice place to escape the town’s heat and the river breeze brings a welcoming relief. By now you already know that Puerto Vallarta packs a lot of fun and is not to be missed for the world!! This list is not even exhaustive of the attractions and wonders of this incredible destination. We leave you room to explore for yourself and come up with new secret adventures. 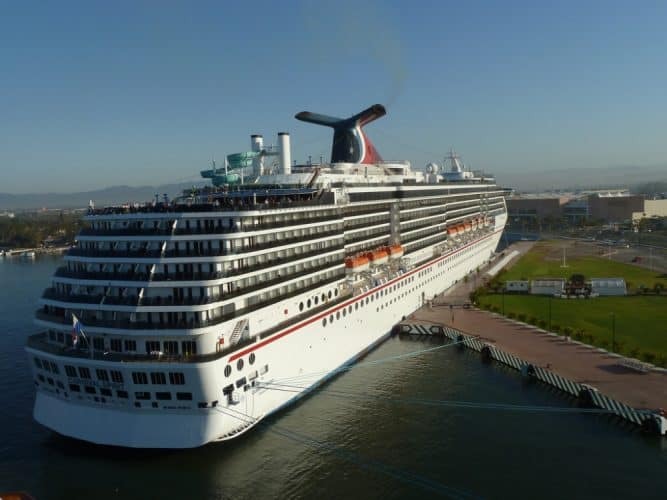 There are two terminals that your ship can anchor at, either Marine Vallarta or Cruise terminal which is about 3 miles from downtown. You can also be tendered to the terminal if the holding capacity is full. More details about the cruise port can be found here. Most cruisers prefer to book day passes to nearby resorts and enjoy their pool and restaurant facilities while launching at the beach. But if you are looking for an authentic trip, then take the buses marked ‘Centro’ or the many taxis available and head into downtown. From there you can explore the attractions listed in this article. The best time to visit Puerto Vallarta is from December to April. This is the winter period where it’s not too hot, unfortunately, it’s also the peak season. Another period is between April and May when there are fewer tourists and it’s not too hot. Prices are a bit cheaper in this season and you might experience some showers. But you are guaranteed a fun trip. And that’s it, now you know what to do in Puerto Vallarta, Mexico. You can plan your trip accordingly. From us here, we wish you a lovely trip. Happy Cruising! !